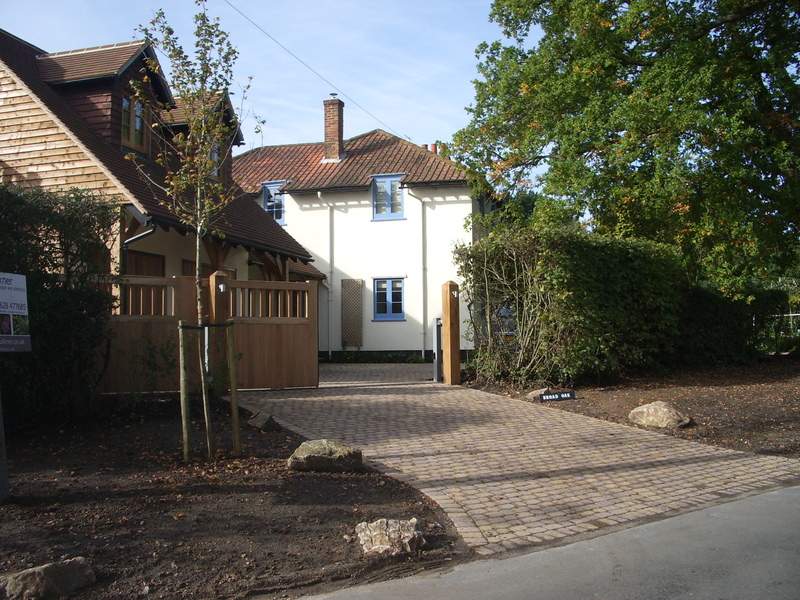 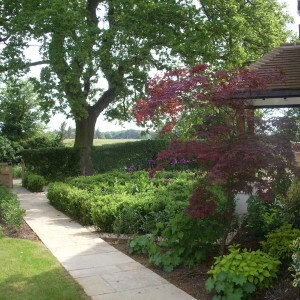 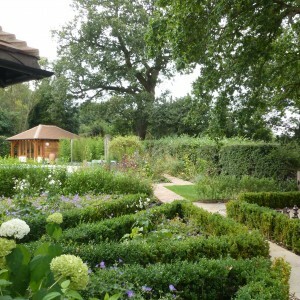 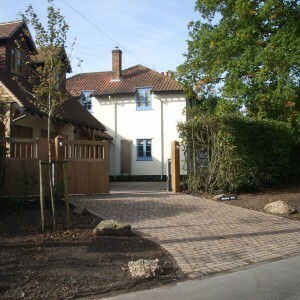 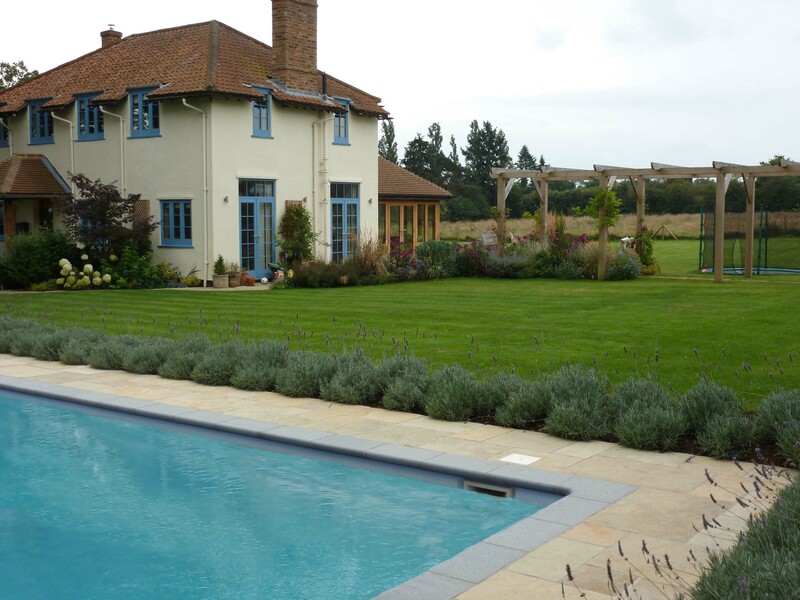 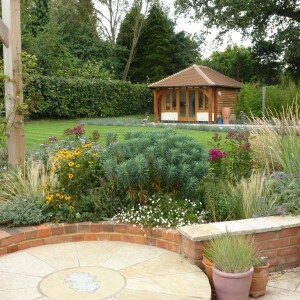 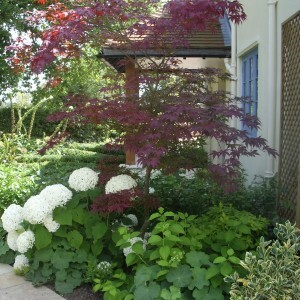 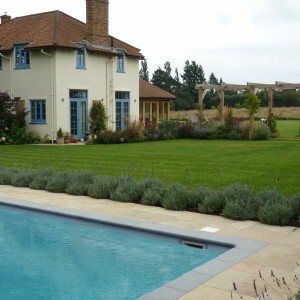 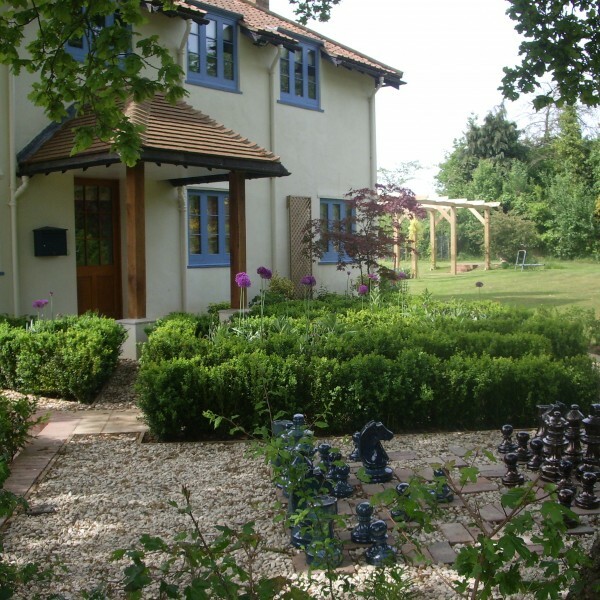 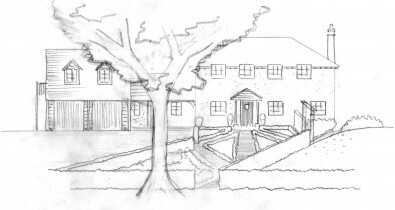 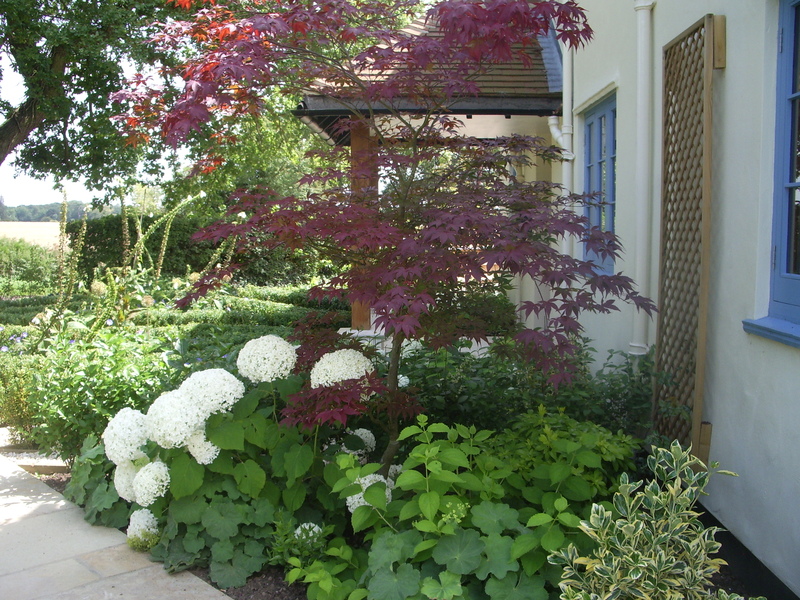 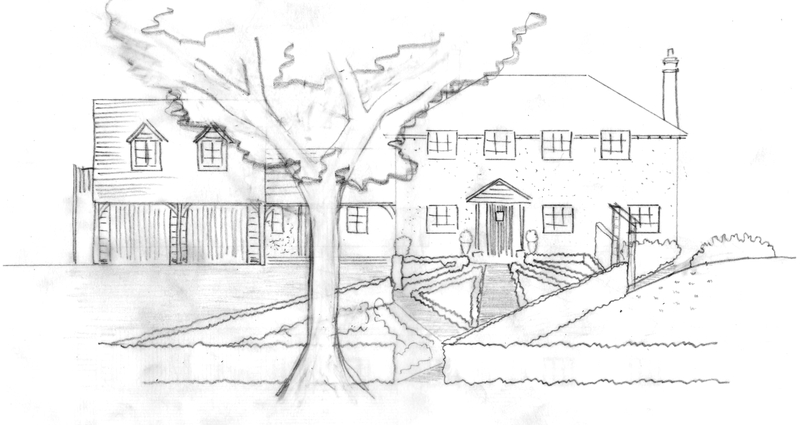 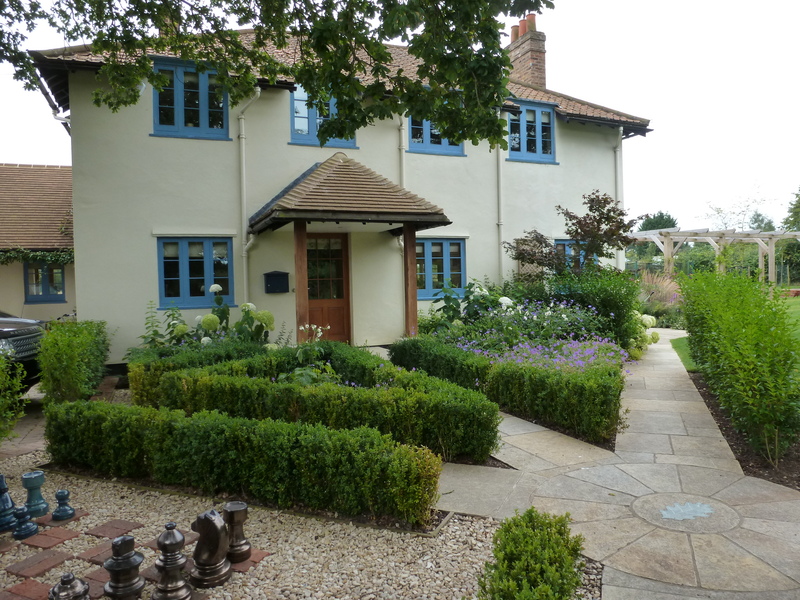 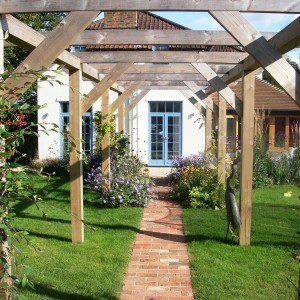 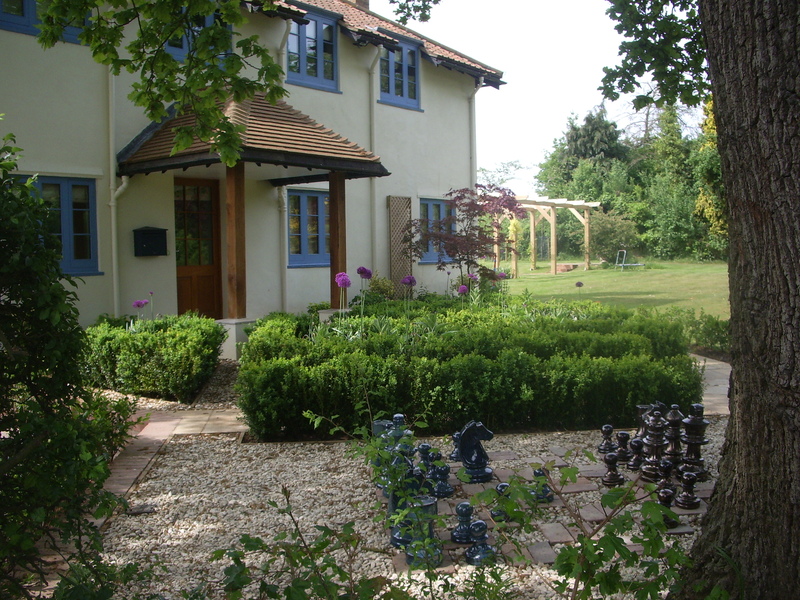 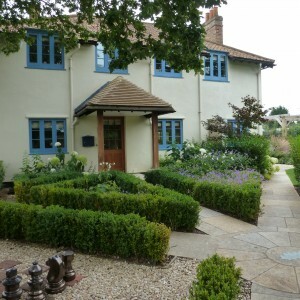 Our brief was to create a formal front garden, driveway and entrance. 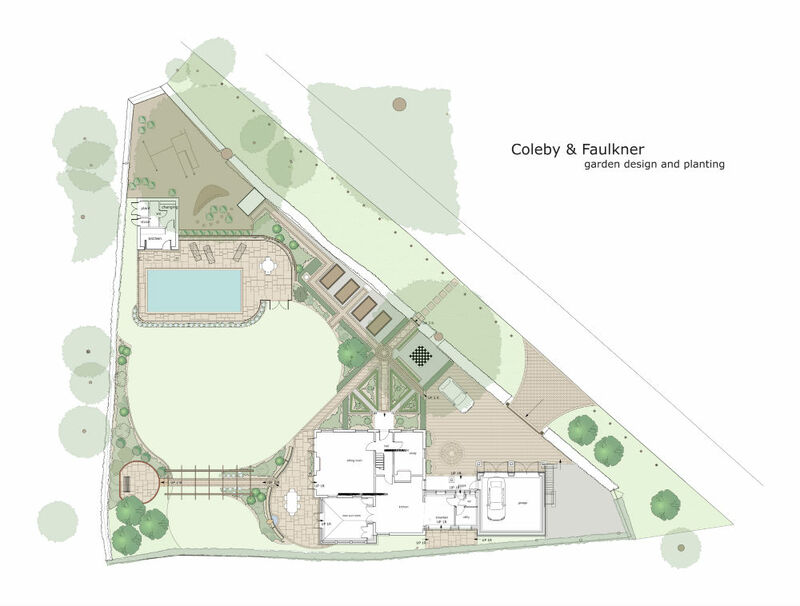 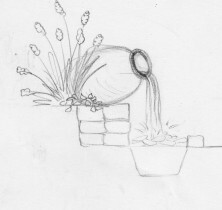 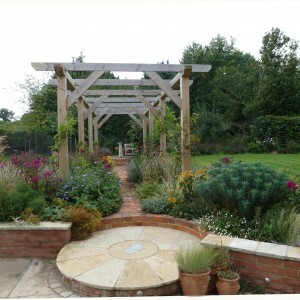 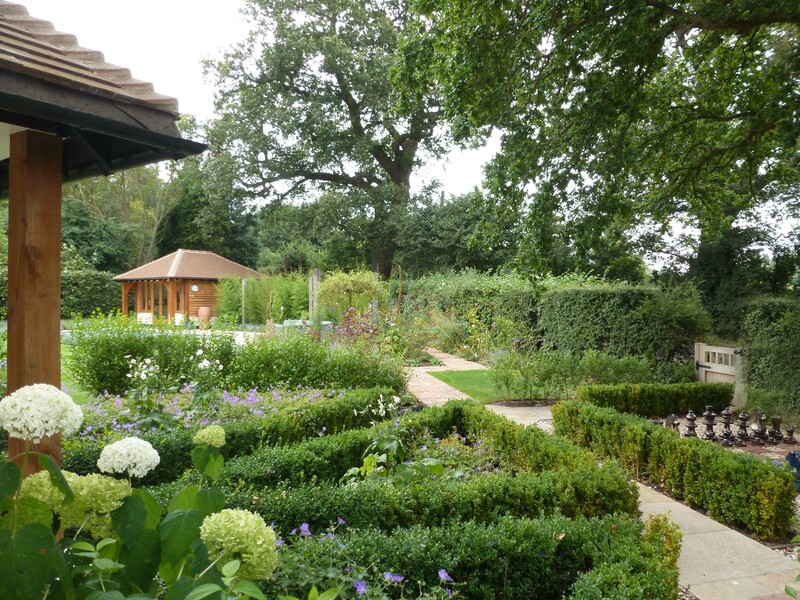 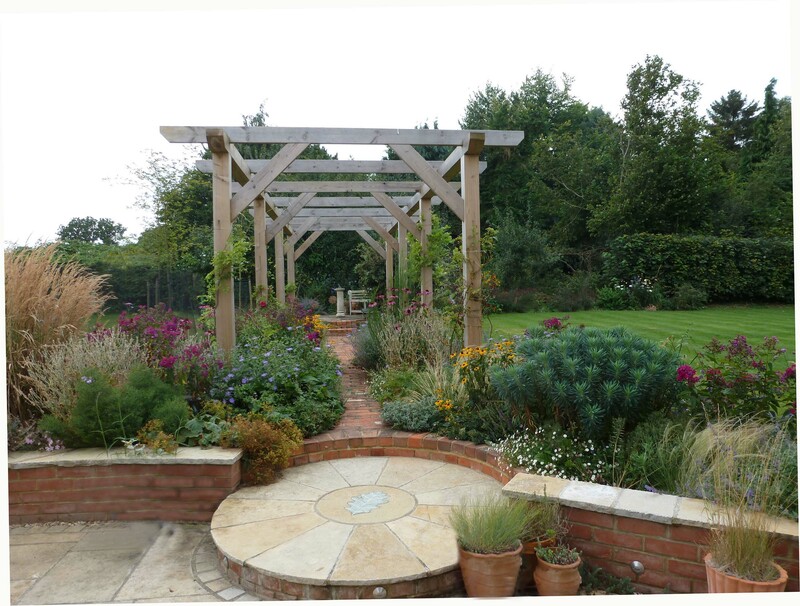 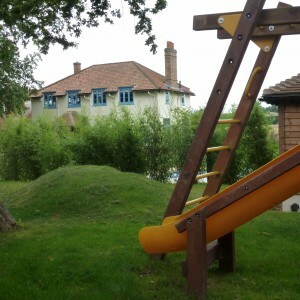 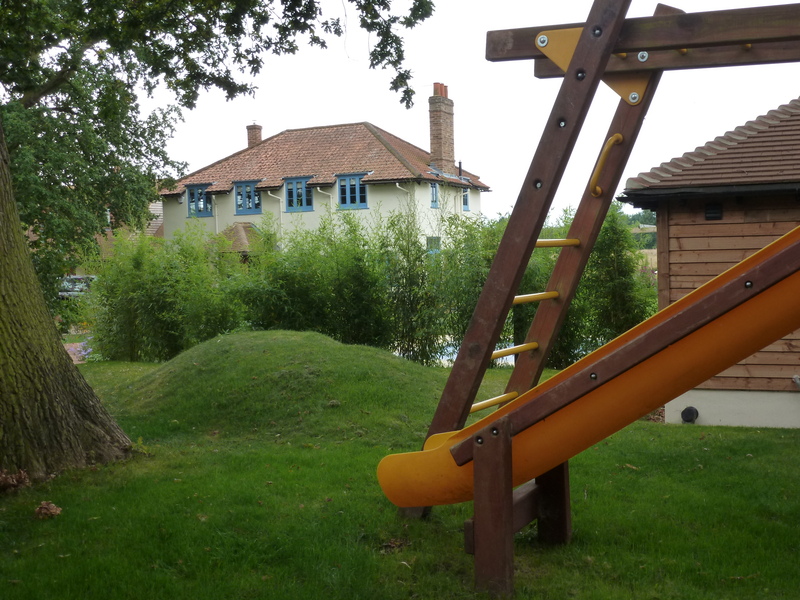 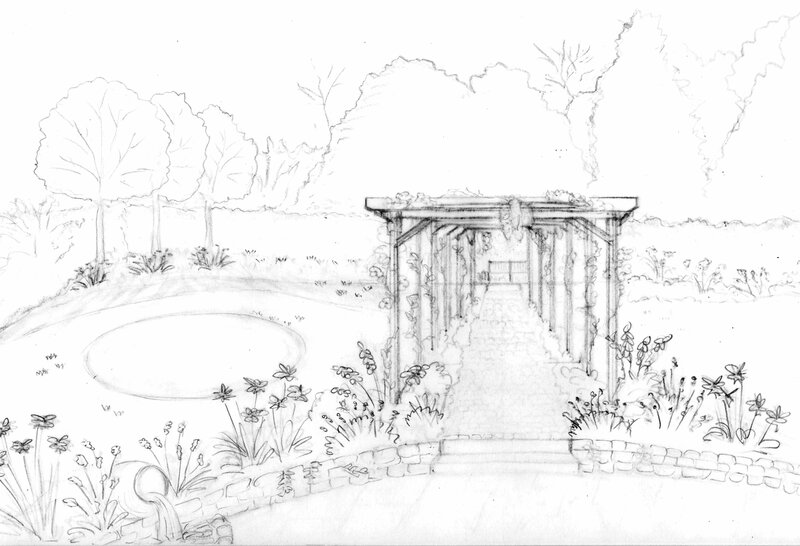 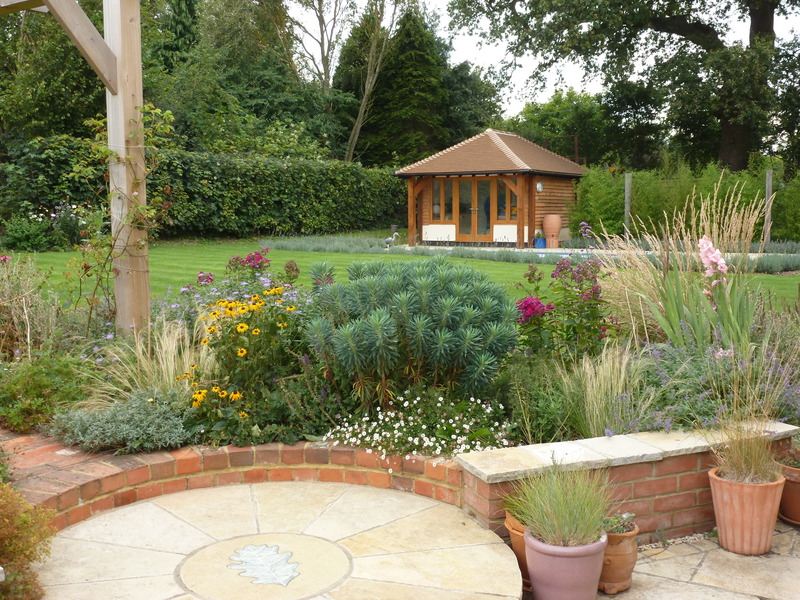 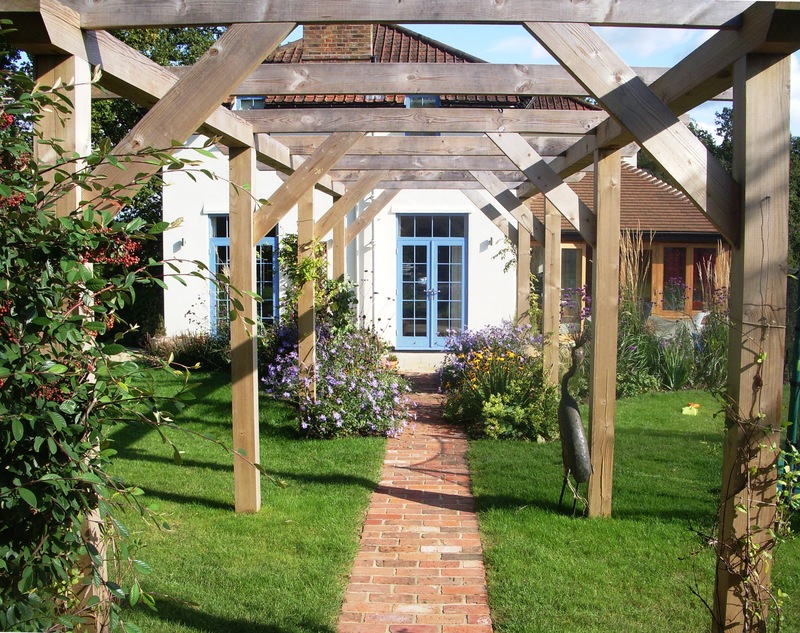 The main family garden included play space, a pergola walk with soft country planting and a space for a new swimming pool to be added in phase two. 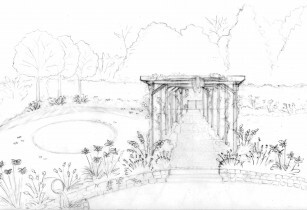 The planting has a real country feel with wisteria scrambling over the pergola and abundant herbaceous plants spilling onto the paths and over the walls. 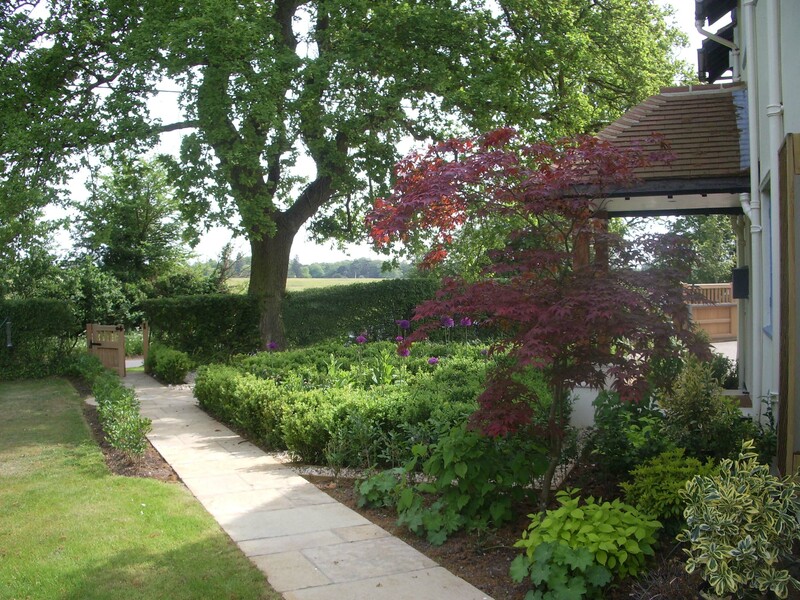 The box hedges in the ordered front garden are softened with spring bulbs and a pretty geranium that flowers for most of the summer months. 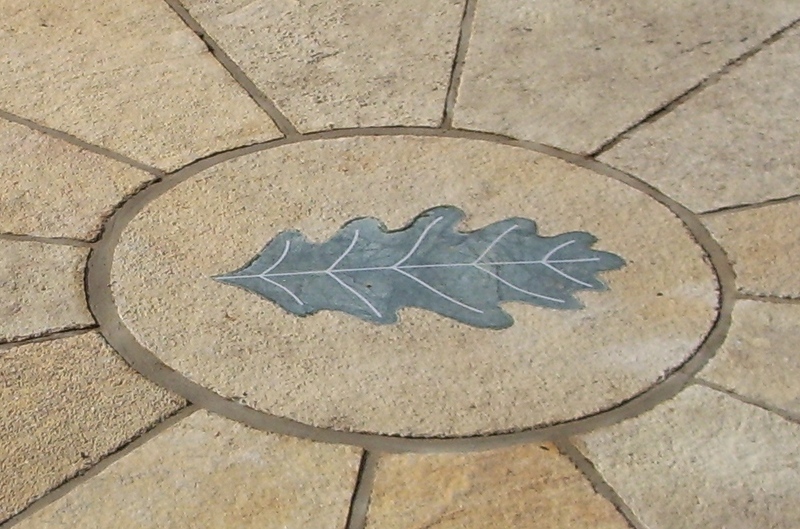 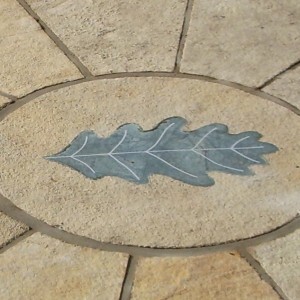 To give the clients a uniquely personal touch, we designed carved stone features which were crafted by a local stonemason and inset into the paving.